Today, we’ll be taking a quick look at the ZOTAC GAMING GeForce RTX 2070 OC MINI graphics card. This graphics card utilizes the latest cutting-edge GPU from Nvidia featuring Turing architecture … giving you real-time ray tracing capabilities, artificial intelligence, and programmable shading. 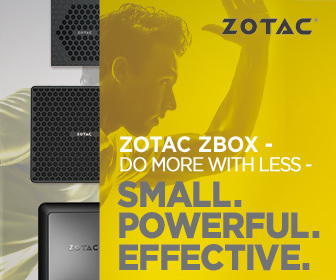 The GeForce RTX 2070 OC MINI from Zotac, as the name suggests is a compact/mini version of their standard GeForce RTX 2070 measuring just 21.1cm in length, and will fit in 99% of all systems or chassis on the market. There’s been a lot of talk about the GeForce RTX 20 series lately, with many users saying there’s no real performance gains over the GTX 10 series to justify its high price. While others have been complaining about the lack of games/applications that support Ray-Tracing capabilities. And even with Ray-Tracing switched-on, many users experienced poor performance and low frame rates. I’m not here to complain. I here to give you my thoughts and experience on the GeForce RTX 2070. As for the issues and concerns mentioned above, I’m sure Nvidia will address them over time as more and more developers support Ray-Tracing. With all that said … it’ll be interesting to see how this card will perform against its predecessor, the GeForce GTX 10 series. I’m expecting some marginal performance gains, if any, but more interestingly … what is overall experience with Ray-Tracing switched-on. There are only a few games and a handful of benchmarking software that can support it, so we’ll have to see….